Would you look at that? I've gone and Hudsoned myself. 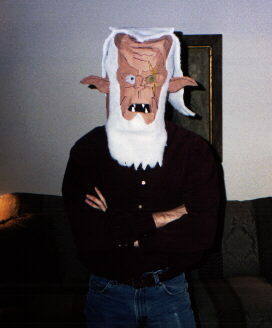 I made this mask during my freshman year of college, a testimonial to my obsession. 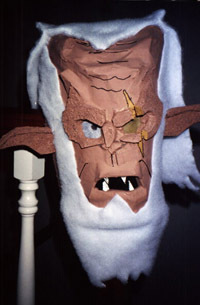 It's made of paper mache-covered foam. Neat, isn't it?